Practical and stylish sleeve for iPad or up to 10in tablet, crafted in black soft-touch Belluno leather, ideal personalised with engraving. Quality sleeve for iPad or up to 10in tablet, in soft-touch Belluno (PU) leather, with closing strap and stud fastener. 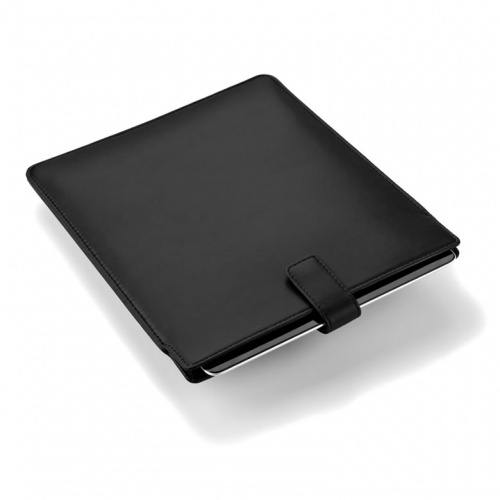 Deluze zip-round folder in black Belluno leather, with internal holder for 10in x 7in tablet (or iPad), offered with free engraving. 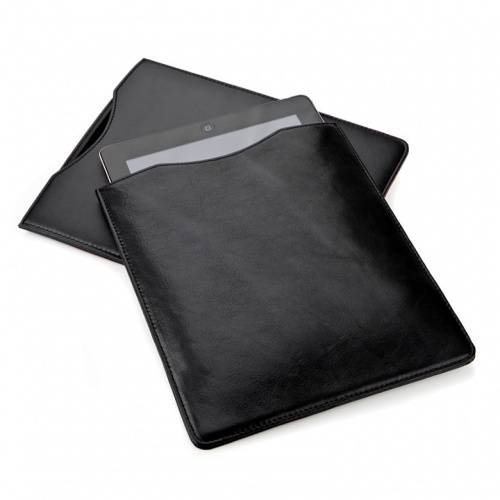 Zip round iPad or tablet case in black Belluno leather, includes card slot on inside cover. Ideal personalised by laser engraving.